From Based on a book to inspired by it, The Program shows he rise and catastrophic fall of Lance Armstrong. 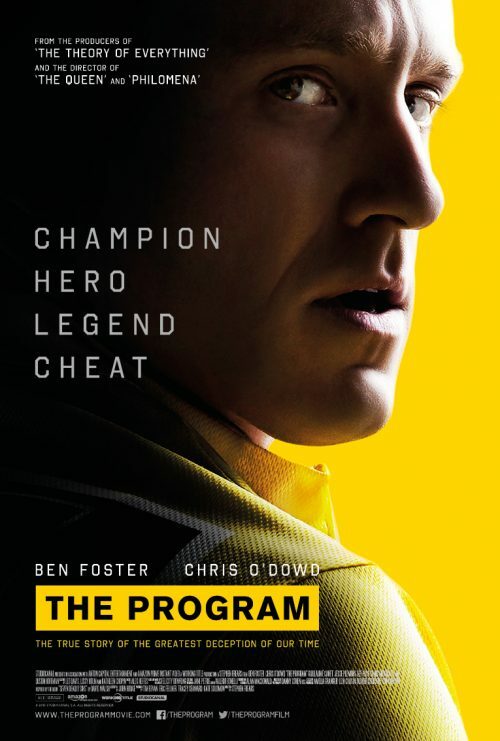 From Academy Award® nominated director Stephen Frears (The Queen, Philomena) and producers Working Title Films (The Theory Of Everything, Everest, Tinker Tailor Soldier Spy), comes the true story of the meteoric rise and fall of one of the most celebrated and controversial men in recent history, Lance Armstrong. Inspired by the award winning book “Seven Deadly Sins” by David Walsh, and featuring a stellar cast including Ben Foster (Lone Survivor), Chris O’Dowd (Calvary), Guillaume Canet (Tell No One) and Jesse Plemons (Breaking Bad), this tense and suspenseful thriller looks at how one of the greatest deceptions in the modern era was uncovered, while Armstrong convinced the world he was a hero through the most sophisticated doping program the sport had ever seen.